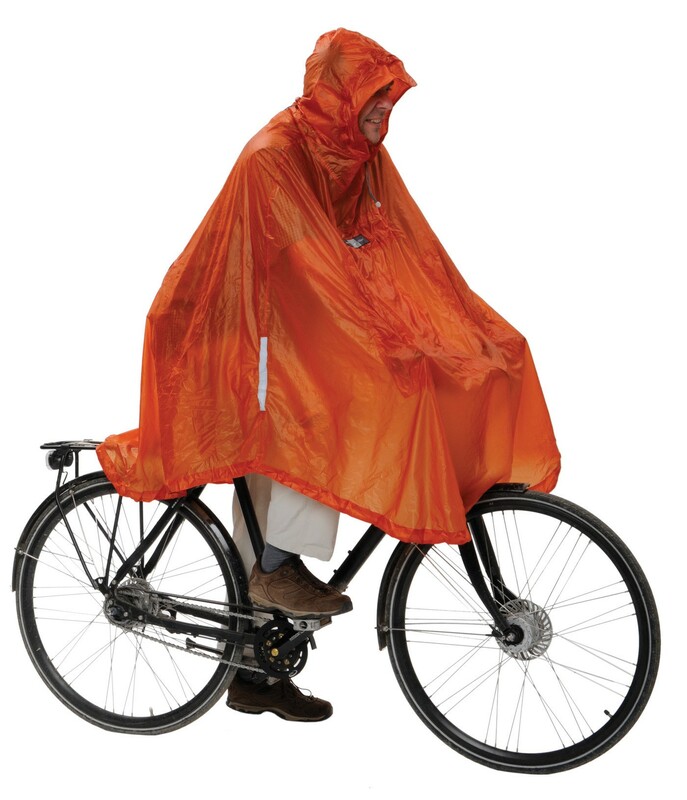 An ultralight poncho for the mobile city dweller and work traveler. Perfect for cycling mountain hikes and wliderness travel. A compact poncho for both the urban dweller and the country hiker - perfect whether cycling, day hiking, or strolling in the park. > Numerous reflective strips at side and back for nighttime visibility. > Large adjustable hood with cinch cords assures perfect vision and always turns with your head. > Inner pocket doubles as stuff sack. 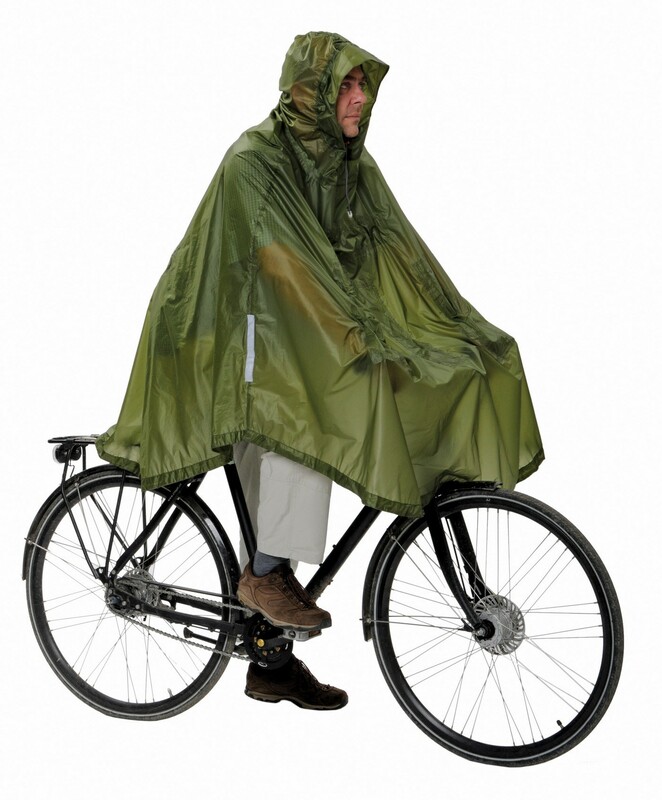 > Velcro compression straps attach Daypack-Poncho to bicycle saddle. > Elastic waist belt prevents flapping. > Interior band secures around the handlebar to prevent accumulation of water.